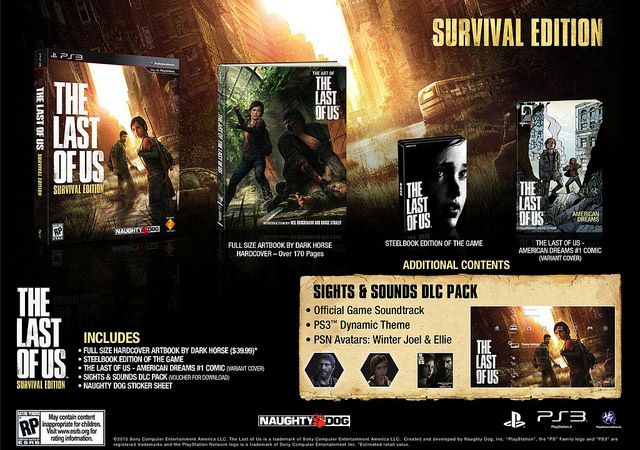 Sony announced today that The Last of Us will launch with two special editions of the game in North America and Europe, each containing a mixture of packaged and digital goods. 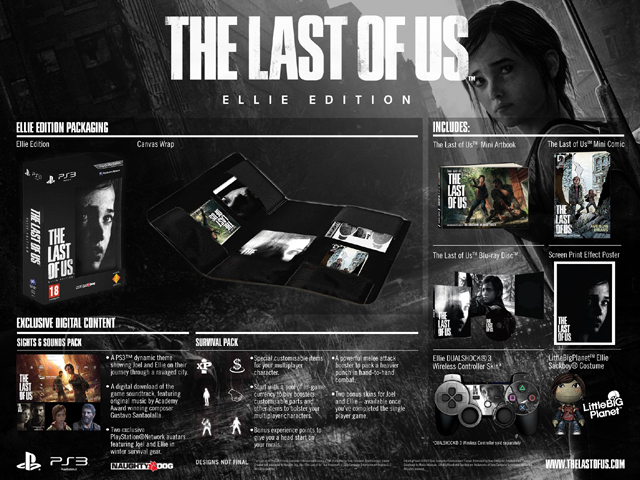 European fans will be able to pick up either a “Joel” or “Ellie” special edition when the game hits retailers across the pond. 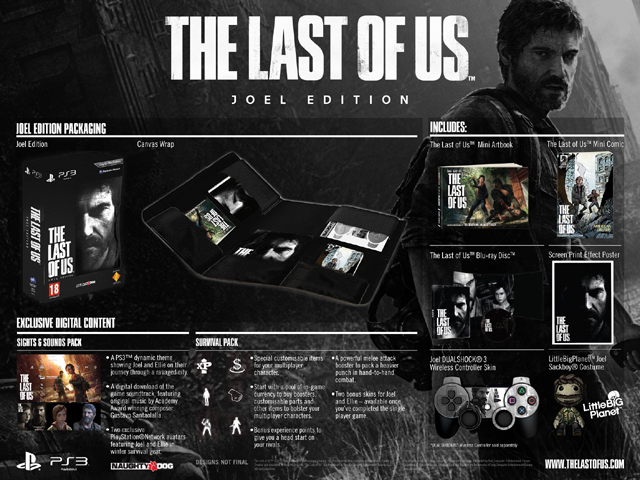 Both of these versions have the same DLC as the North American Post-Pandemic Edition, along with the following items; The Last of Us mini art book, American Dreams issue #1, an exclusive cover for the game featuring either Joel or Ellie (depending on which edition you decide to order), a poster of either Joel or Ellie (depending on the edition), a skin for the DualShock 3 controller with either Joel or Ellie (depending on the edition), and a LittleBigPlanet Sackboy Joel or Ellie skin (you guessed it… depending on the edition). 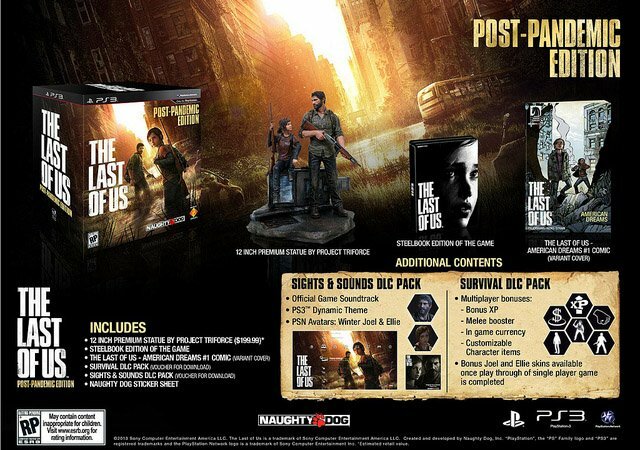 Images for all the special editions of The Last of Us are posted in the gallery below, let us know which one you are planning to pre-order in the comments.